Bosnia and Herzegovina (“BiH”) is generally perceived as a good emerging market for investment. The country is rich with natural resources and has a long tradition of industry with favorable and attractive locations and resources. Potential areas of investment include banking and finance, energy and mining, construction and IT (ICT) sector. The relevant national framework is beneficial for foreign investors, with incentives important to foreign investors, such as low taxes and flat tax rates. On an international scale, BiH is a party to several bilateral investment treaties, and is a signatory to the ICSID Convention. This, however, does not mean that BiH does not have its fair share of obstacles to overcome to increase foreign investments. In 2015, the flow of direct foreign investment was BAM 244 million (approx. EUR 122 million), with the main investors coming from Austria, Serbia, and Croatia. There is an 81,64 % drop from 2007 when the amount of direct foreign investment was BAM 1,329 million (approx. EUR 664 million). Businesses and proponents of a responsible governance have criticized this dramatic drop, and advocated for a systematic change (see, e.g., White Book published by the Foreign Investor’s council sets for measures that, if implemented, would attract more investment). A recent increase in the number of investment disputes brought against BiH attests that this framework needs to change. To put things into perspective: the overall value of the three investment arbitrations brought against BiH is around 800 million BAM (approx. EUR 400 million). For a country facing financial difficulties, participating in these proceedings, and potentially losing the disputes, will be a difficult hit to take. The nature, scope and the result of these proceedings are important; however, there is almost no substantive information on this. Although publicly available information is scarce and superficial, some general information can be drawn. First, these disputes revolve around large-scale infrastructure and energy projects. For example, in Elektrogospodarstvo Slovenije – razvoj in inzeniring d.o.o. v. Bosnia and Herzegovina (ICSID Case No. ARB/14/13), the Slovenian energy company filed an arbitration claim against BiH claiming damages in the amount of approximately BAM 758 million (approx. EUR 380 million). The relationship between the two companies dates back to the 1970s. The parties then entered into a contract for the construction and operation of Thermal Power Plants Block I and II. Under this agreement, one third of produced electricity was to be delivered to the Slovenian counterpart. Although the contract performance was interrupted due to the war in Bosnia from 1991 to 1995, it was never resumed after 1995. Elektrogospodarstvo attempted to seek remedies before the local courts, but was ultimately unsuccessful. The court found that the parties had agreed to arbitrate any dispute arising under the agreement, and therefore the court did not have jurisdiction to hear the case. Elektrogospodarstvo subsequently initiated arbitration proceedings before an ICSID tribunal. The details of the case are not made public, but the essence of the claim is a breach under the Energy Charter Treaty, and the Agreement on Reciprocal Protection of Investments signed between the two states. Second, the claims are brought alleging the government’s failure to take steps necessary for the investment to start. In Strabag (AG) v Ministry of Telecommunications and Transport, Strabag claims damages in amount of BAM 2,5 million (approx. EUR 1,25 million) for breach of their construction agreement. In 2004, Strabag was the most successful bidder for the construction of a bridge over the river, Sava, in the north of Bosnia. Necessary licenses, however, were not procured and Strabag was unable to start the construction work within the 180 days’ timeframe provided in the agreement. Consequently, Strabag initiated arbitration proceedings claiming damages for breach of the agreement. The media speculated that BiH will most likely lose this case. There is some indication that the BiH Prosecutors Office is waiting for the outcome of the case to begin its own investigation as to why the necessary licenses were not procured. A similar situation led to the most recent ICSID arbitration – Viaduct d.o.o. Portorož, Vladimir Zevnik and Boris Goljevšček v. Bosnia and Herzegovina (ICSID Case No. ARB/16/36). 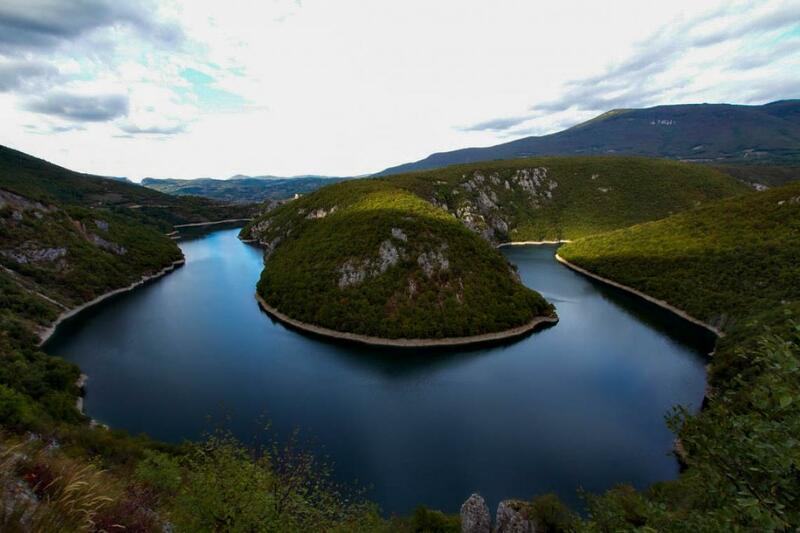 Almost a decade ago, the Republic of Srpska granted concession to Slovenian nationals for the construction of a hydropower plant on the river Vrbas in the northern part of the country. The power plant was never built, and the concessionaires unilaterally terminated the contract in 2015. According to the information in the local press, and as reported in the IAR Reporter, the investors claim that the local authorities awarded the same rights to a local concessionaire, and therefore acted in a discriminatory and repudiatory way. Third, the information on the final outcome of the case is ambiguous. The cases before ICSID are not fully transparent. It is only possible to follow the procedural steps, without having any insight into the claims or defenses raised. Similarly, there is no conclusive information on how some of these proceedings are being handled on the government’s side. For example, the Council of Ministers sent a note to the Ministry of Telecommunications and Transport, the defendant in the Strabag case, recommending a potential settlement. There is no information whether such a settlement was initiated and, if yes, what was offered in its course. Given the public interest in projects of this type, and especially the consequences it may have on the environment, employment, etc., this attitude is somewhat reckless, to say the least. Despite the obstacles, investment projects will keep knocking on BiH’s doors, and with them (unless the current settings change) a possibility of new investment claims. One of the questions which could be a good start for a reform is: Who bears the risk of overly optimistic investment contracts which provide for unrealistic deadlines for the completion of a project? Foreign investors are attracted by BiH’s rich natural resources. The country, on the other hand, strives to enable a favorable climate for those investors. This is especially done through the concession granting framework. Nonetheless, the granting of a concession for exploration and later exploitation of natural resources does not suffice. There is a long line of bureaucracy requirements that need to be met for the operations to start. The processes are typically long and often unnecessarily burdensome. Just recently, Strabag AG and Koncar signed an agreement for the construction of the Vranduk power plant. The dynamics of awarding similar concessions to foreign investors will continue, parallel to signing overly optimistic contracts since BiH wants to attract and keep its investors. However, such governance and the unawareness of the obligations which BiH has under its BITs and international treaties will jeopardize the future of investments. This mandates raising awareness, and a serious analysis and strategic planning on how to approach future contracts and disputes with foreign investors. For example, a situation where a ministry does not act upon the instruction of the Council of Ministers to engage in negotiations and amicable settlement might not be the most responsive way to handle these situations. To ensure a more responsible approach towards this type of disputes in the future, the attitude towards the dispute resolution processes with foreign investors needs to be reshaped. The government should also be equipped to face the pressure and often unbalanced position with a foreign investor. A failed investment is not always the host state’s fault; an investor bears part of the risk as well. Therefore, building the capacities of the states to negotiate and carry out these deals in ways that will be beneficial to both the public and foreign investors is a must.